Genuine garden saffron in filaments. Our experts select the best batches of the saffron crop to make this product exclusive and beyond compare. Also available in the range, Saffron syrup which is a non-alcoholic sugar sweetened concentrate. It is an appropriate product to dilute in water, milk, coffee or tea; to decorate ice cream, water ices and all kinds of desserts. 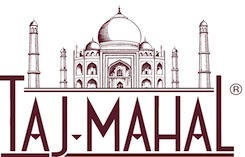 We are the sole suppliers of authentic Taj-Mahal Saffron all over UAE.